Ready yourself for the ride of a lifetime with this impressively epic game. 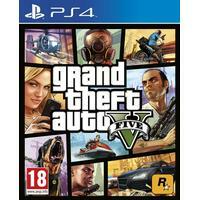 Rockstar Games delivers the fifth instalment of its gun-toting, carjacking blast of fun Grand Theft Auto. The violence is ever-present as always, tempered with a brilliant script and superb voice acting. Although the game is inherently a development of the previous GTA games, there have been significant tweaks to the usual formula. For example, you now play as three separate characters, whose stories intertwine seamlessly, while the graphics have never been better - creating the most stunning sandbox world yet. The focal point of Grand Theft Auto 5 is the story itself. The three main characters are alternately hilarious and at times terrifying. Franklin, Michael and Trevor each have very different character traits and backgrounds ranging from the ambitious small-time car thief, the bored rich anti-hero, to the cold-blooded trailer-park psychopath. At any moment you can switch between the three, during missions or otherwise. It’s a great system and does leave you constantly curious as to what the other characters may be up to. It’s great fun and if you leave one character alone long enough they’ll go off on their own unseen adventures. For example, jumping back to Trevor after an extended period you may find him drunkenly waving a gun at terrified onlookers while wearing just his underpants. Throughout the game Rockstar delivers entertaining social commentary on the US political system and the media landscape. There are so many great touches it’s not possible to catch them all on your first play. Should you wish to take a break and pop on the in-game television, you’ll find Weazel News – a brilliant parody of Fox News. Although the central narrative involving the three anti-heroes pulling off a series of armed robberies is strong, some of the best moments of this game come when you’re just exploring the gorgeous virtual Los Angeles. Feel like a break? Why not head to the beach and go boating? Or maybe visit a strip joint and get a private dance? Not your scene – then perhaps you’d enjoy parachuting or hang-gliding? The beautiful HD graphics really come into their own when you head north and drive up the coast to the country. You can almost feel the sea spray as you head on up the highway, the skyscrapers s disappearing over the horizon as the setting sun turns a realistic red, yellow and orange hue in the sky. Los Angeles is meticulously reproduced with all its famous buildings and landmarks. This is by far the most realistic recreation of a major city in the GTA series, with the computer intelligence always delivering some great little Easter eggs in the streets of LA, from robberies you can interrupt to a wide range of crackpots and amusing weirdos wanting to engage with you. The soundtrack as always is fantastic, offering hundreds of hours of different radio stations. The stunning graphics and immersive, customisable storyline really make you feel as though you’re helping to create a movie. Each scenario and mission is so exciting, so well written, with the cityscape so dazzling, that you’ll keep wanting to come back for more. Why you should buy it: If you like your games to hit you square between the eyes with their grit, realism, and impressive immersion into a fantasy world, then you’d do well to give GTA V a second glance. It’s technically brilliant and a blast to play. The dialogue might be dodgy at times, but the script's hugely amusing, and there’s sharp intelligence in evidence, too. Tough to beat.